Global HSE Conference and Exhibition is an ultimate platform that promises to provide unprecedented opportunities as it thrives to embrace a sustainable future. 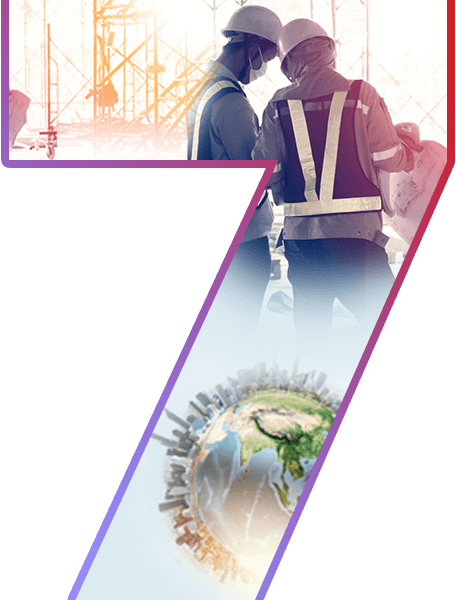 Global HSE is an International cross industry platform initiated and pioneered by a Governing council consisting of HSE thought leaders from all major industries in the Asia Pacific and MENA Region. The conference is recognised for its breadth, expertise and extensive portfolio of strategic as well as technical sessions which advocate the role of HSE across the industries around the globe. Global HSE is renowned as the premier platform for Creating Safe & Sustainable Future through Business Excellence. It facilitates cross culture learning and cross industry growth by learning from each other. All Global HSE Editions are hosted by a country and led by a major organization within the country along with overwhelming support from Government, Industry, Regulators, NGOs & Academic Institutions globally and within the region. The Global HSE Initiative has evolved as the leading event to showcase latest innovative technologies, services and products available to the industry.